You are invited! Family Fun tomorrow! Find that special gift for mom! 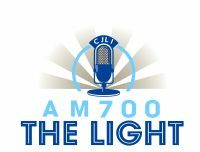 Super happy to announce our new media sponsors Shine 88.9FM & AM700 The Light for our April 14th, 2019 mom show! Guess who’s coming???? Join us April 14th! Family Fun! Want something fun to do TODAY? Tagged Calgary Moms Trade Fair, sunday november 4th, Want something fun to do TODAY? Ho! Ho! Ho! Join us this Sunday, Nov 4th to get your Holiday shopping on! Calgary Moms Trade Fair is making its return Sun, Nov 4th! Accepting Exhibitors – Mom Show on Nov 4th! Have a business? Exhibit with us Nov 4th! Showcase your business at our trade show! Large spaces booking fast! Have a business? Exhibit with us Nov 4th! You are currently browsing the archives for the Trade Show News category.